All www.giftshop.com.cy products as depicted on this website may be varied from time to time and are available almost everywhere in Cyprus. All www.giftshop.com.cy products are subject to availability. 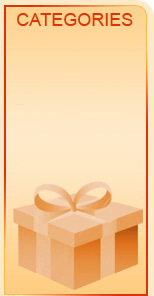 In the event of any supply difficulties, we reserve the right to substitute a www.giftshop.com.cy product of equivalent value or greater value and quality without notice. In the event that we are unable to supply you with your any at all , we shall notify you as soon as soon as possible and compensate you in full no more than 30 days after the delivery is due. Prices listed within the www.giftshop.com.cy Service are valid for a maximum of 14 days of submitting your purchase order. Prices include deliveries within Cyprus, click here to see the delivery areas. You will be given clear instructions to follow the Order Form and you shall be required to provide us with your complete personal details, together with those of the intended recipient and all necessary payment details..By clicking on the 'Proceed' button on the Order Form, you are consenting to be bound by our terms and conditions contained in these Terms and Conditions and appearing anywhere on the www.giftshop.com.cy site. Submitting your Order Form is subject to our acceptance of this offer when we issue a written confirmation of acceptance by e-mail to the e-mail address with which you have addressed us. We will confirm your order details and advise you that we are processing your purchase when we e-mail you. You have to be 18 years old or older in order to have an Order Form accepted. Delivery cost is included in the price for town limits. If you request delivery to remote areas which are not normally delivered to by us, you will be advised of any additional charges as soon as possible upon receipt of your Order. The service is offered to orders for delivery within Cyprus. On acceptance by us of your Order we will advise you by e-mail confirmation of the intended delivery date. For same day delivery within Cyprus we must receive your Order by 06:00 AM (Cyprus local time). We will process Orders received on Sundays or Public Holidays the next working day. We do not deliver on Sundays. Incorrect personal details may lead to problems or delays in delivery, so before placing your order, please ensure that you have included the full address details, daytime contact telephone number so that we can notify you in the event that any delivery problems are encountered. Whilst we agree to use all reasonable endeavours to ensure that delivery will be on the requested delivery date you acknowledge that actual delivery will be via our courier and in very occasional circumstances delivery on the requested terms will not be possible. In such circumstances you will be given prior notice wherever possible and we shall either make alternative arrangements or shall reimburse your payment in full. In case of delivery to certain locations where a third party is involved, such as hospitals, airports and hotels, the signature of any person authorised to accept delivery on behalf of the organisation shall be accepted as proof of delivery to your chosen recipient. Orders may be amended or cancelled up to 48 hours before the intended delivery date for Cyprus. To amend or cancel your order, please contact the www.giftshop.com.cy Customer Service Team from 9am until 6pm Monday to Saturday using the contact details set out in Section 6 below. Our Customer Service Team is available from 9am to 6pm from Monday to Saturday. Because of the perishable nature of flowers and in order to assist us in resolving any problem quickly and to our mutual satisfaction, we advise you to make your request within 1 working day of the date of delivery or intended delivery of your purchase. Whilst we agree to use our reasonable endeavours to ensure that the www.giftshop.com.cy and/or our Service is fully operational and error-free we cannot guarantee this and, therefore, accept no responsibility for any defects and/or interruption of the www.giftshop.com.cy and/or the www.giftshop.com.cy Service and shall be released from our obligations under these Terms and Conditions in the event of any cause beyond our reasonable control which renders the provision of the www.giftshop.com.cy Site and/or the www.giftshop.com.cy Service impossible or impractical. We reserve the right to supplement and amend the Terms and Conditions on which you are permitted access to the www.giftshop.com.cy Site and/or the www.giftshop.com.cy Service from time to time. We will post any changes on the www.giftshop.com.cy Site and it is your responsibility as a customer to review the Terms and Conditions on each occasion you access the www.giftshop.com.cy Service or www.giftshop.com.cy Site. Changes will be effective after the posting of any such change and all subsequent dealings between you and us shall be on the new terms and conditions. Additionally, we reserve the right to suspend, restrict or terminate access to www.giftshop.com.cy Site and/or www.giftshop.com.cy Services for any reason at any time. These Terms and Conditions shall be deemed to include all other notices, policies, disclaimers and other terms contained in the www.giftshop.com.cy Site, provided that in the event of a conflict between any such other notices, policies, disclaimers and other terms, these Terms and Conditions shall prevail. If any of these Terms and Conditions is held to be invalid or unenforceable, the remaining provisions shall remain in full force and effect.